ODVA announced during its 19th Annual Meeting and Conference that Honeywell has become a principal member of ODVA alongside Bosch Rexroth, Cisco Systems, Endress+Hauser, Rockwell Automation, Omron and Schneider Electric. ODVA annual conference was held October 9-11, 2018 in Stone Mountain, Georgia, USA. Honeywell is one of the world’s leading software-industrial companies and its primary focus within ODVA will be through its 5 billion dollars company Honeywell Process Solutions (HPS), part of Honeywell’s Performance Materials and Technologies strategic business group and an industry leader in automation control, instrumentation, software and services. This decision confirms the importance of ODVA for the process industry. "One of the strength of ODVA is that it helps ensure high quality and consistent processes. The use of EtherNet/IP guarantees interoperability which is a key requirement for our clients. ODVA and EtherNet/IP ensure that all data is accessible and all devices interoperate in a safe and predictable manner. This allows Honeywell to provide solutions that unlock all the potential and the value provided by EtherNet/IP", declared Brian Reynold, Senior Director of Engineering for HPS’ Projects and Automation Solutions business. Honeywell Process Solutions has a 40-year history in process automation control. It has supported ODVA technologies and standards since the late 1990s with the integration of ControlNet® into its distributed control system (DCS) offering. With the convergence of industrial control systems used in process and hybrid industries, Honeywell has seen both a growth in adoption and in opportunity for EtherNet/IP™ connectivity and now has integrated EtherNet/IP into multiple product lines including Experion® Process Knowledge System (PKS) and ControlEdgeTM PLC. Today HPS has its solutions installed in more than 10,000 sites around the world including various locations with EtherNet/IP. 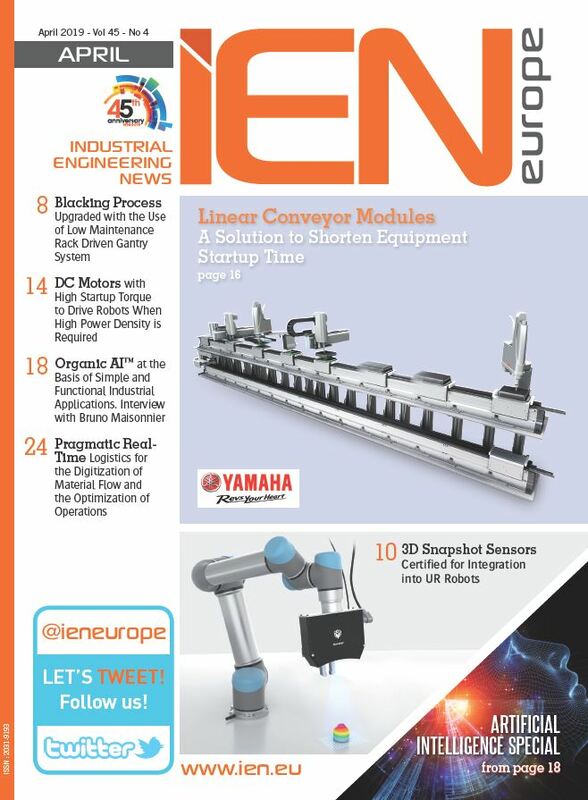 ODVA has activities focused on the adoption of EtherNet/IP in the process industries. These activities include a technical working group focused on enhancements to The EtherNet/IP Specification for specific needs in the process industries. ODVA is also involved in industry-wide efforts to promote adoption of Ethernet in the process industries, such as its collaboration with FieldComm Group and PROFIBUS and PROFINET International to help promote adoption of Ethernet to the Field that will be made possible by forthcoming enhancements to the IEEE 802.3 Ethernet standard for long-reach single pair Ethernet. 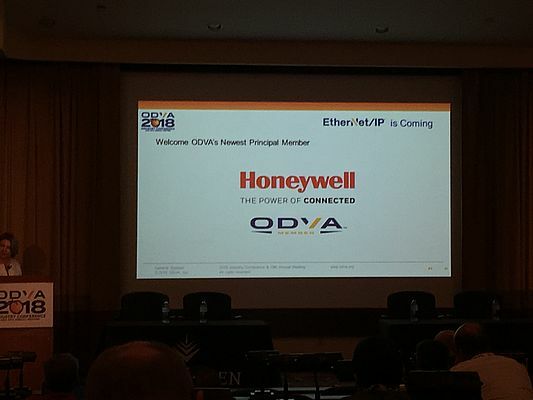 After the announcement, Honeywell provided an overview of HPS and its reasons for joining ODVA as a principal member along with an end-user perspective on EtherNet/IP in Action at DowDuPont. Presentations for Honeywell and DowDuPont may be viewed and downloaded with other proceedings from the ODVA online at www.odva.org.